Poetry in The Branches (PITB) was developed as a model for building poetry audiences in local communities by providing poetry services in public libraries. PITB has proved to radically increase circulation by creating a synergy between books, events, writing workshops, and professional training for librarians.Since it was first developed in 1995, millions of people have experienced poetry through PITB programs and the training it provides to librarians. The Poetry in The Branches National Institute—a weekend-long intensive training in the PITB model held at Poets House. 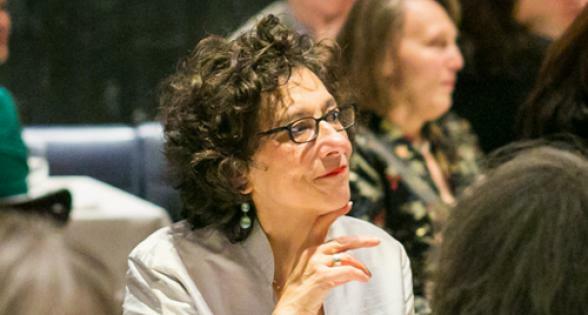 Immersed in the rich world of poetry, librarians connect personally with guest poets, learn how to empower their visitors through poetry, and develop a practical plan for integrating poetry into their libraries. Click here to listen to the 2005 National Institute Keynote Address by former Poet Laureate Robert Hass. The Poetry in The Branches Sourcebook—a step-by-step guide to the PITB model for librarians, supplemented with bibliographies for collection development, tip sheets to help integrate poetry into every aspect of a library, and resource lists. Get a copy here. PITB Services—On-site trainings held at your local library. Special events to inspire and support librarians such as a reading and talk with former U.S. Poet Laureate W. S. Merwin. A range of national projects depend on collaboration with public libraries. These projects have their roots in Poetry in The Branches and begin with intensive training in the model. To receive updates on any of these services, or for questions about Poetry in The Branches, please contact Outreach Librarian Reggie Harris via email or at (212) 431-7920, ext. 2842.